Thank you so much for following Graffiti With Punctuation and, once again thank you for your support with the move to weekly publishing. You would have noticed though over the last couple of weeks that there have been yawning gaps where there should have been ?#GraffitiThursday? issues. Is it because there's been an absolute glut of awards season flicks? Is it that usual panic of viewing prior to conjuring the “end of year list"? Have I got that brain constipation writer's block? A couple of significant things happened. 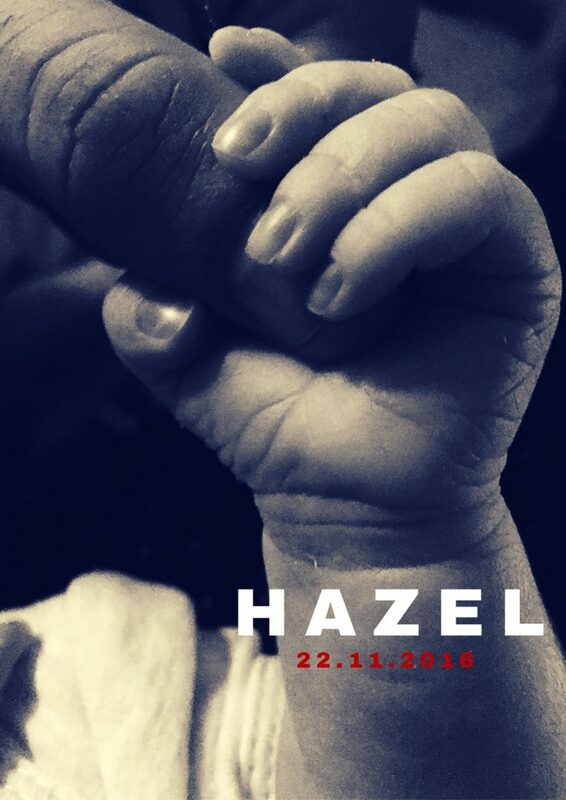 Yes this is a tribute to the Logan teaser poster, but it’s also a notification that my amazing wife Sam brought our first baby, a little girl named Hazel Hermione Howard (#BabyTripleH to her friends) into the world and it's near impossible to pull myself away from her. And secondly after about five years of cyber squatting the absolute jerk that’s been hoarding the precious GRAFFITI WITH PUNCTUATION DOT COM has relinquished their paws from what (I feel) was rightfully ours. As you can see (if you clicked through to the link) a placeholder for something that i’m going to be working on tirelessly for a full launch on the first of January 2017. A new look logo > @DrasticGrafix is on the case as we speak. The entire back catalogue of every podcast we’ve every produced in one convenient stream & a home for any future Graffiti Movie Podcasts under one roof. You’ll see, as you did today, that content is going to be coming to our current site normally from here on out. At least 8 reviews from myself alone are going to be locked and loaded for next week’s issue and from the 1st of January though, DOT NET will REDIRECT to DOT COM. For me, our brand of Graffiti is now more important than ever. We aspire to add to cinematic discourse like Banksy’s art confronts contemporary issues. We aspire to be worth the little time you have. We aspire to inspire you to discuss your opinions with us.